One of the best stops to land in south west Florida. The Fort Myers International Airport is a great destination for those looking to vacation near Naples and Fort Myers. With a modest population and powerful personality, Fort Myers is a portal into southwest Florida’s serene subculture. Whether you’re exploring national wildlife or enjoying the beach at Cape Coral, one thing that’s sure to turn everything into a shining positive is the city’s bright disposition. You can especially get a sense of how fun your vacation will be based on how helpful the staff of Southwest Florida International Airport is. There are two main areas to park at RSW Airport. If you’re intending to leave for a while and want the most value for your dollar, leave your vehicle in the Long-Term Surface Lot, located behind the Short-Term Parking Garage. 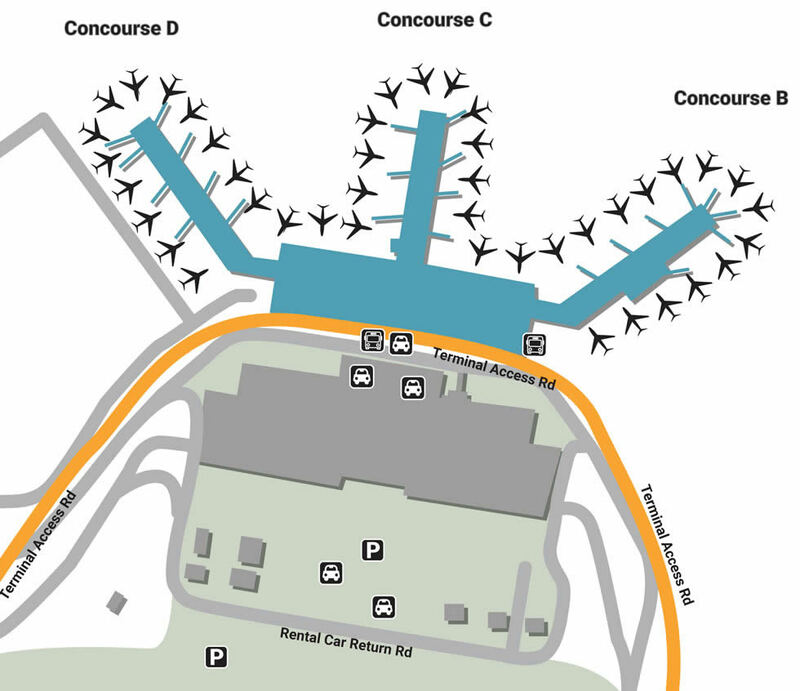 The Short-Term Garage offers the first 20 minutes free, offering the quickest and easiest route to the terminal. The facility also offers complimentary tire inflations, emergency jump starts, and vehicle location. Frequent fliers should utilize the RSW Rewards Program for free rewards that accrue points each time you park. Nothing feels better than helping someone out, and the people at RSW know this. Before arriving, visit Airport Service Plaza, an on-site gas station that offers free Wi-Fi, Cell Phone Lot access, and a 7-Eleven convenience store. If you’re in need of a Foreign Currency Exchange, head to the Main Terminal in between Beaches TravelMart and Air Canada. The airport also offers Flight Information pamphlets alongside courtesy phones at the end of each Concourse. Whether you’re arriving or leaving, art can help you unwind, especially the public art hanging throughout the airport as part of the Art in Flight partnership with Lee County Alliance (Upper Level). Pick up a sweet gift for someone waiting on the other side, or spoil yourself with a personal prize at one of the airport’s many retail shops. As you leave, surprise a loved one with a beachside souvenir from Beaches TravelMart (Main Terminal), or pick up a pair of flip-flops at Sanibel Marketplace (Concourse B) on arrival. Keep track of what’s going on with the world by dipping your toes into the headlines of Coastal News in the Main Terminal, afterward picking up a regional gift from Brighton Collectibles next-door. If there’s one thing that’s certain in the mysterious waters of Southwest Florida, it’s that seafood makes everything better. Feed your inner alligator by stopping by local joints, whether it be the fresh catches at Casa Bacardi (Concourse D) or the universally beloved drinks at A Day at the Beach (Concourse B & D). Sit down and have your choice of steak & seafood at The Shell Factory (Concourse C), or enjoy the stand-up basket food from Beaches Boardwalk Cafe (Concourse B). There’s also a Jose Cuervo Tequileria in the Main Terminal, offering guests the opportunity to relax in the form of a shot that feels like a warm hug.